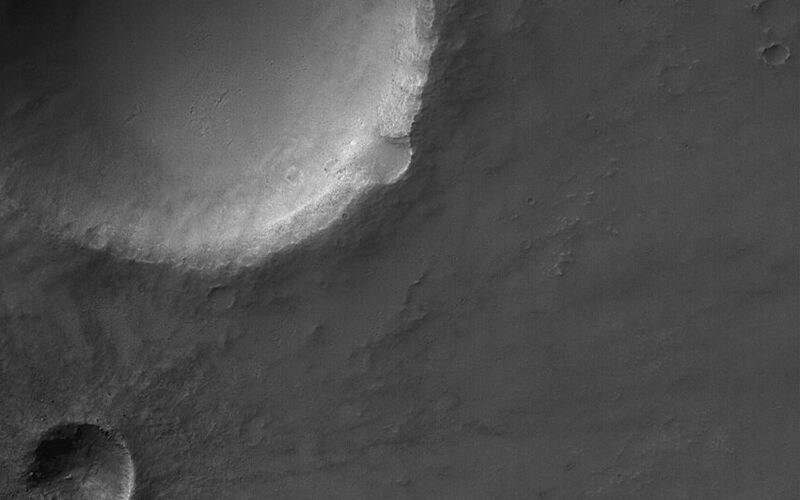 This Mars Global Surveyor (MGS) Mars Orbiter Camera (MOC) image shows several meteor impact craters on Solis Planum. The second-largest crater in this scene is relatively young and fresh, exhibiting arrayed ejecta pattern and numerous boulders near its raised rim. The image covers an area about 3 km (1.9 mi) wide and is illuminated by sunlight from the upper left. The craters are located near 19.8°S, 85.5°W.